Please attend our our January 9th meeting to equip yourself with the knowledge you need to be part of the solution to the issues facing our nation. Come also to enjoy the company of like minded people and the great food at The Canal. 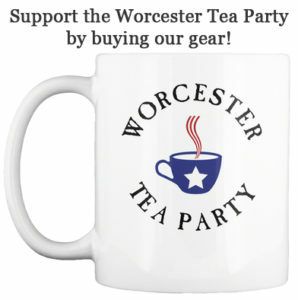 Nathan Fatal is a familiar face to many Tea Party members in the Worcester area. Nathan introduced Gov. Gary Johnson at our 2012 Tax Day Rally. He is a recent graduate of the University of Massachusetts at Amherst, with a degree in Political Science. He is also founder of the New England Objectivist Society. Nathan will talk to us about how we can attract more young people to our cause.